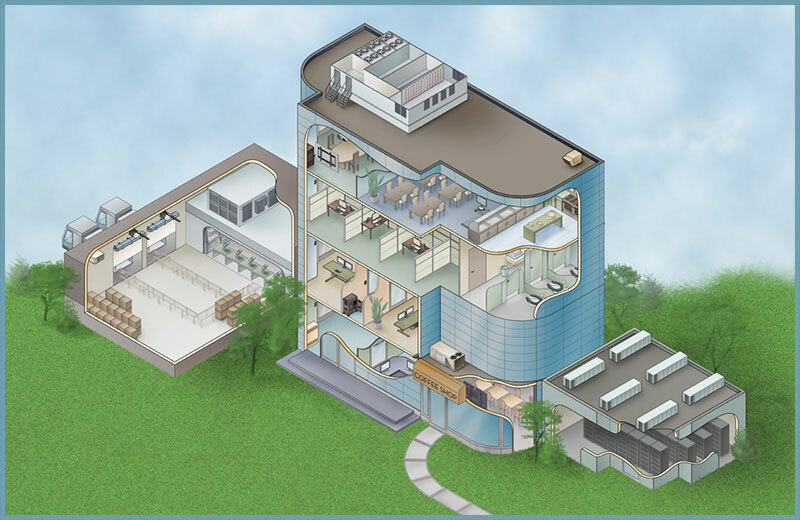 Multi-storey office building cutaway illustration including a warehouse that features mechanical systems, classrooms, interior spaces, a coffee shop, the server equipment and components throughout. 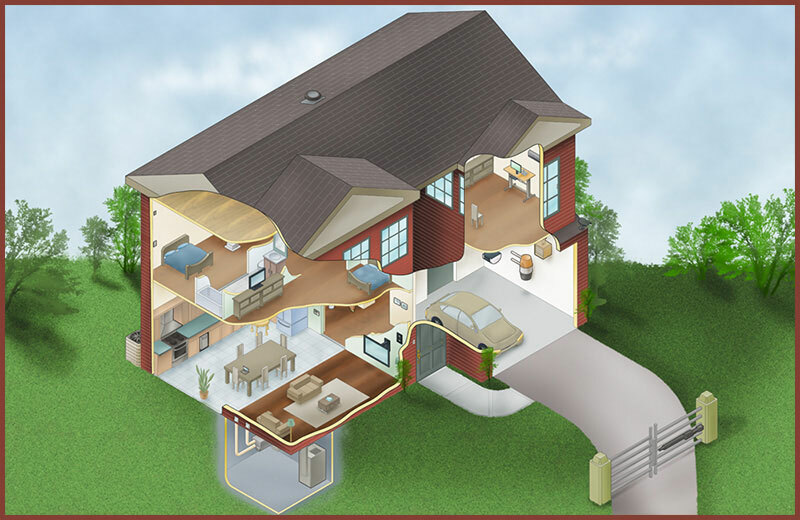 Residential house cutaway illustration showing the inside rooms and product components of a company including heating and cooling and home technology. 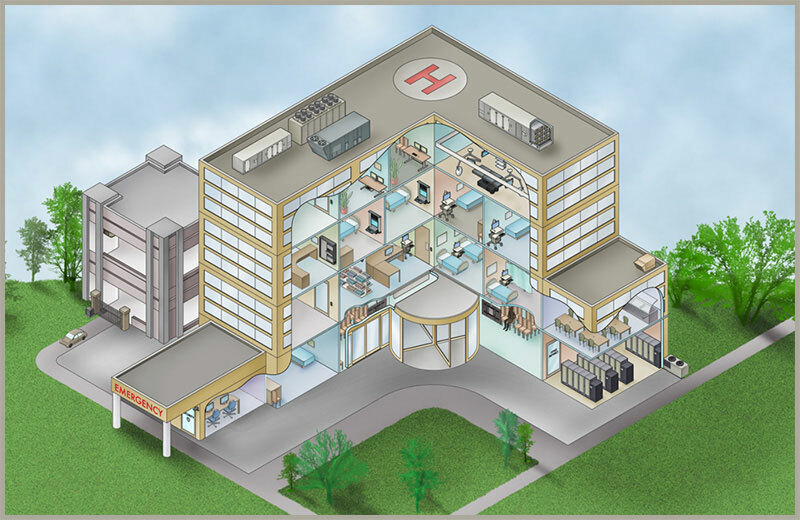 A multi-level hospital with a cutaway showing the inside of the building and featuring a companies products. 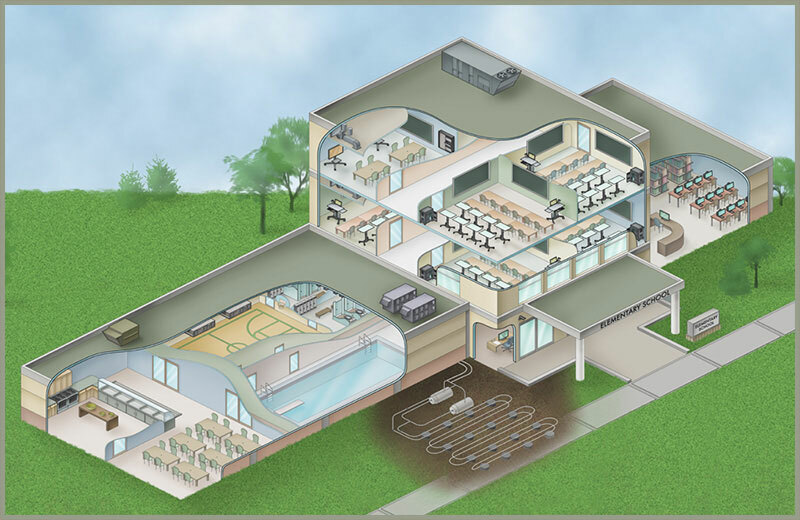 School building cutaway illustration showing all the classrooms, gym, laboratories and rooms where HVAC, electronics and heating and cooling components reside. Client: The Boston Group: A series of 4 building cutaway illustrations including a hospital, office, residential home and school. All 4 featured the client's product in context in the building.